The new Monsterella Stix Double and Monsterella Chicken Parm from Checkers. If you ask a group of people which fast food chain has the best french fries, you will get a variety of answers and some very heated conversations. The biggest responses will likely be of the classic McDonald’s/Burger King/Wendy’s variety, but if I am being honest with you and myself, the best french fries are really from Checkers. Sure, they differ from the competition’s yellow-golden hues—their famous orange color highlighted by its black spices is more akin to the texture of a curly fry. The secret seasoning apparently consists of paprika, black pepper, dry mustard and a few other spices – an unorthodox blend which also gives the fast food chain its own fry niche. However, in doing so, they also topped the competition in overall taste, especially when they are prepared correctly and reach the perfect level of crispiness. 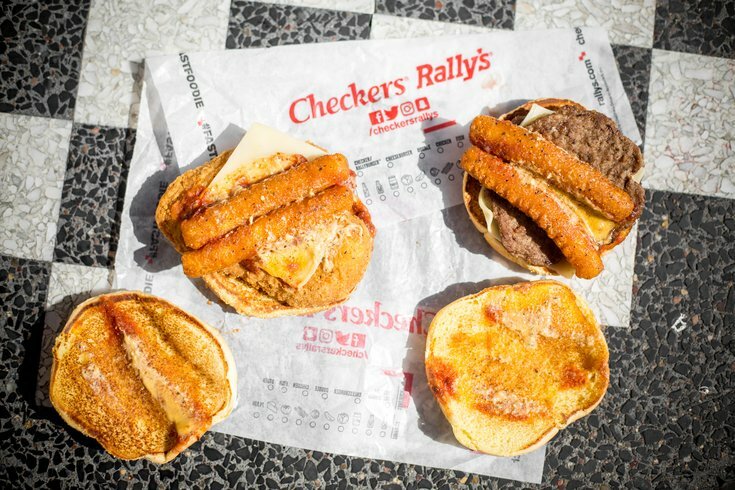 Since the fries are partly what have made Checkers/Rally’s famous, they also add the seasoning to their mozzarella sticks. In a new twist, the company has created a pair of limited edition items that combine the sticks with their regular sandwich fare. The result is the Monsterella Double (a double burger with Swiss cheese) and the Monsterella Chicken Parm (a chicken sandwich with Swiss cheese), both of which are then topped with two mozzarella sticks and a helping of marinara sauce. 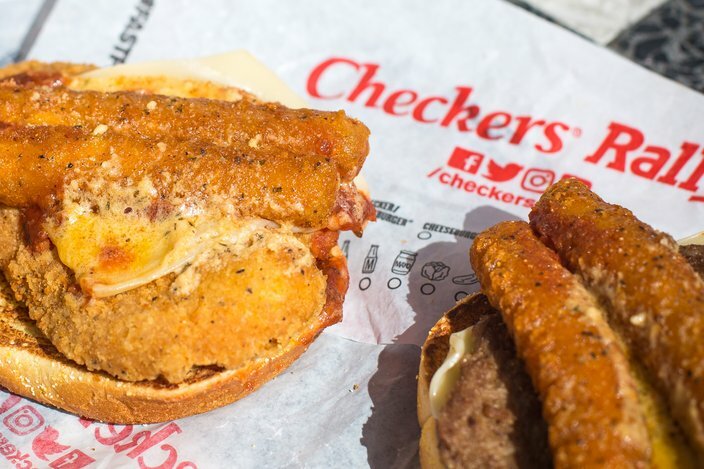 The Monsterella Chicken Parm sandwich sparkles in the afternoon sun. That helping of sauce is the first thing you notice biting into the Monsterella Chicken Parm because it’s quite terrible. The thin gruel-like texture tasted way too close to that weird, red soupy stuff that SpaghettiO’s live in. That’s not a good thing. Perhaps if there was no sauce, this might be salvageable, as the actual chicken breast was fine overall, though it may no longer technically be a chicken parm sandwich after that. The thin gruel-like texture tasted way too close to that weird, red soupy stuff that SpaghettiO’s live in." The Monsterella Double was a tad better, but most of that was based on the strength of Checkers’ burgers. Many years ago, someone in my family bought frozen NASCAR Checker burgers that were sold in supermarkets. Along with the box came a shaker of the company’s famous burger seasoning, which I, in turn, put on all of my burgers for years until it eventually ran out. (Unfortunately, they do not sell this in stores.) It’s a great, salty mix of flavors that melds perfectly with the juiciness of the meat. While the spices work well on burgers, when combined with a block of salt in the form of two mozz sticks and some lousy marinara, it’s a big intake of sodium: The Monsterella Double has 1890 mg and the Monsterella Chicken Parm tops that with 2270 mg. If you have a “salt tooth,” this may be for you; non-salt fans be warned. 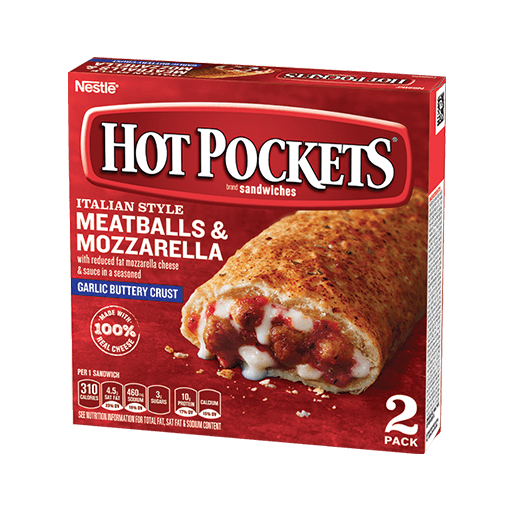 While the Swiss cheese didn’t stand out too well, the sheer amount of cheese on the Monsterella Double when combined with the meat and sauce all ended up tasting sort of like a Meatballs & Mozzarella Hot Pocket, only with bread instead of a crust. This wasn’t entirely a bad thing. 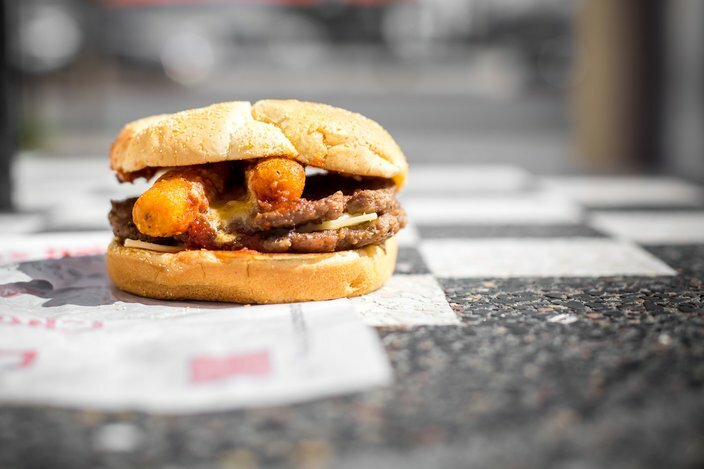 The bottom line is that the addition of mozzarella sticks was supposed to be an addition and ended up being a subtraction from the original sandwiches. Maybe we should stop trying to just jam an appetizer onto something else and make it a thing. It almost never works. Verdict: Monsterella Chicken Parm failed mainly because of its poor marinara sauce and too salty mozz sticks. The Monsterella Double was slightly less of a failure. Checkers is better than this.